What a quinky dink: Northfield High School is about to start a new school year and here, during the first week of class, River City Books will host an event with an author who graduated from that very institution. OK, so maybe that isn’t the example of stunning irony I had hoped it would be when I started typing this post. Writing is a process of discovery and I am comfortable enough in my feathers to admit that while scribbling the discovery I often make is that there are many thoughts inside this little head that are something short of coherent. But I must continue … and didn’t someone say something about an author event? Right. Me. Here you go: Sean Patrick Little, author of The Centurion: The Balance of the Soul War (and the aforementioned former Raider), will read from and sign copies of his book at 7 p.m., Friday, Sept. 7, at River City. Yes, I realize that is during Defeat of Jesse James Days. Which is the point. You’ll be out and about already, eating a taco in a bag (save some for me), why not pop on over and learn about this new book? 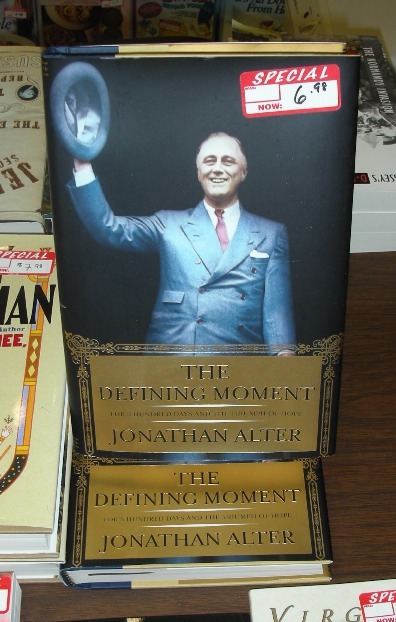 I’m here to provide a bit of information that the New York Times Book Review is not telling you: “The Defining Moment” is currently on sale at River City Books for just $6.98 in hardcover. Now that’s a triumph of hope. Or something like that. I may be advanced for a bird, but I have not read every book on the shelf. No, it’s true. Sometimes even great reads slip through my wings and I am stuck in the corner at dinner parties trying to explain why I haven’t read certain titles that everyone else west of the sun seems to have read. Like, say, a dazzling collection of stories about genuine, ordinary people, many of them with a connection to India, seeking love, often in foreign places or in difficult circumstances. But, eventually, I come around. Eventually my shame is packed up and put away. For a few minutes anyway. I may have been a few years late but this weekend I finally read Interpreter of Maladies and, wow, I see why it won the 2000 Pulitzer Prize and a slew of other awards. No, in that headline I’m not talking about the presidential race. Are you kidding? Rather, the big choice in your future is something altogether more pressing: which spiffy calendar to pick out! That’s right. River City Books, as I astutely noticed the other day, has already gotten in a large number of nifty 2008 calendars. I took a pic of this particular rack (click to enlarge). Unfortunately, I would need to take about thirteen photos to capture them all, and even then you would still need to hold them in your hand and check out the various months of respective options. A far better idea: Duck into the store on your next walk down Division Street. The weather’s been terrific these last couple of days. Get out and enjoy it before the torrential rains return. Personally, I’ve got my eye on the Edward Hopper. So save one for me. I have learned that the next Northfield Reads! selection has been made. Kevin Kling will be in town to discuss The Dog Says How at 7 p.m., Nov. 7. The site is yet to be determined, so I’ll let you know and update the calendar as soon as we know. Just thought you’d like to circle that date on your personal planners. “The Dog Says How” will be published this fall. Looks like a fun one. Click here to learn more about the book and/or to pre-order. “The Dog Says How” will be on sale for 20 percent off in conjunction with Northfield Reads! Ouch. This hurts. Not like the time I sat on a bicycle without a seat, but it hurts. It still sort of surprises me that more folks don’t take advantage of River City Books’ monthly staff picks section. I expect that by this point in the month the endcap containing all those amazing deals will be empty. Politics. Mystery. Fiction. Young adult. 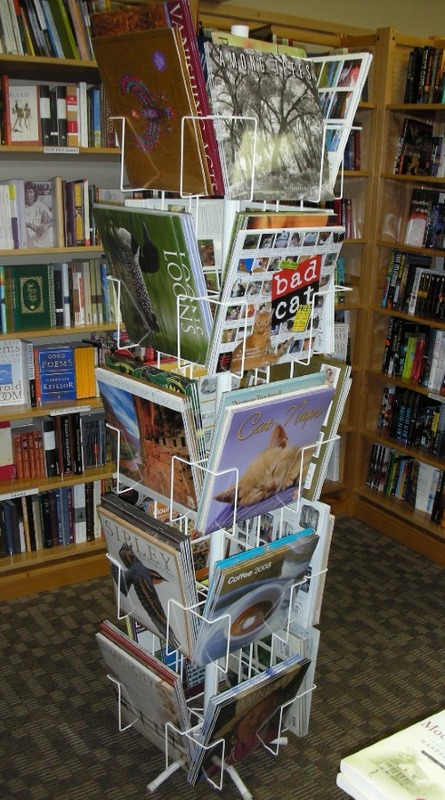 Picture books. Humor. 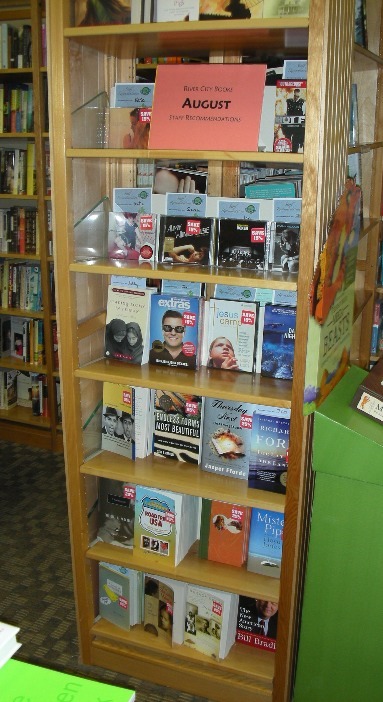 The bundle of hand-picked staff selections contains a little bit of everything and usually a whole lot of great reads. And, of course, the discounts — 25 percent off all books and great savings on CDs and DVDs — are terrific. Sorry, but my photo (click to enlarge) only captures a partial view. So next time you stop by, don’t forget to take a gander.